There are many stories about a man trying to achieve a dream. 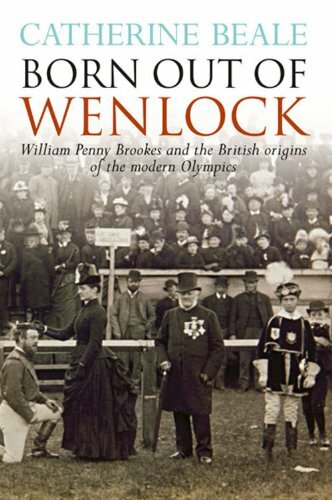 The story of Dr. William Penny Brookes is one of those, because when he started to dream he created the first modern Olympic competition, the Wenlock Olympian Games. 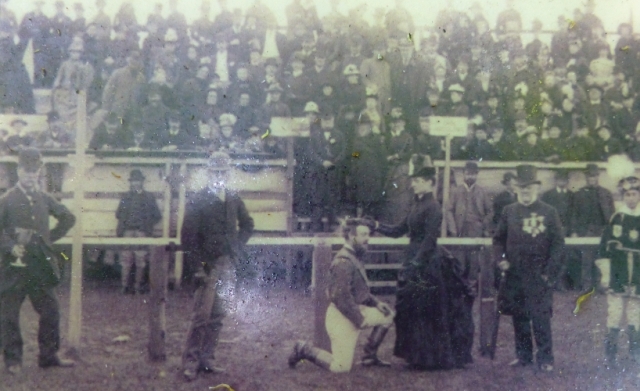 The Wenlock Olympian Games were first held in October 1850 to “promote the moral, physical, and intellectual improvement of the inhabitants of the town and neighbourhood of Much Wenlock." They were the brainchild of Dr William Penny Brookes, who believed these attributes would help develop people and who had taken his inspiratioin from the ideas of the ancient Greek games. The games were a mix of athletic and country sports for both individuals and teams, with some fun events, like wheelbarrow racing, thrown in. There was much pomp and pageantry as a procession of flag bearers, officials, and competitors followed a band through the towns’ highly decorated streets to the sports field, initially the race course and later Windmill Hill. The event became a huge success and would draw competitors from across the country to compete in front of the crowd covered Windmill Hill. Although the games were based on classical pursuits like running, jumping, and throwing, it was an event called Tilting at the Ring, introduced in the 1858 games, which drew the biggest crowds and created the greatest champion. William Penny Brookes designed this event to capture the chivalry of the medieval knight and his lady, and the strength and skill of good horsemanship. The aim was to lance a ring hanging from a supported beam whilst charging past on a horse, much like non-contact medieval jousting. If you’ve read our Much Wenlock page you will realise that Dr. William Penny Brooks achieved many things for the people of Much Wenlock, but his true passion was exercise. He was convinced of its benefits for everyone and he wanted to inspire people to participate and enjoy sporting endeavour. His goal was to revive the Greek Olympics in Greece. His contacts with Greece started in 1859 when he sponsored an event in the Greek Olympian Games with a £10 donation. In 1877, the year of Queen Victoria’s jubilee, he requested an Olympian prize from Greece and the Greek King, George I, donated an engraved silver trophy. It was through this contact that Brooks was introduced to His Excellency J Gennadias, the Greek Charge d’Affaire in London, and through these contacts, and the success of the Olympian events, the message about reviving the Greek Olympic Games started to get noticed. “Dr Brookes, this enthusiastic philhellene is endeavouring to organise an International Olympian Festival, to be held in Athens ….”. However, it wasn’t until 1890 when Baron Pierre de Coubertin, a fellow believer in Physical Education, came to England to meet William Penny Brookes and attended an Olympian event that Brookes' Olympic dreams moved closer to fruition. 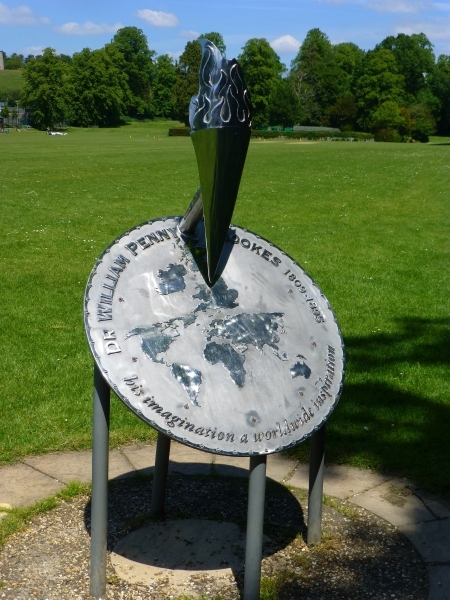 Coubertin liked what Brookes' had established in Much Wenlock, and since both had the ambition to revive an international Olympian event in Greece, the two men became good friends. Four years later Coubertin arranged a meeting for 79 like-minded delegates from 12 countries to discuss a modern day Olympic event. Brookes, an honoured guest, was unable to attend due to poor health. The first International Olympic Committee was created and went on to organise the first modern day Olympics during April 1896 in the Greek city of Athens. Sadly this was just four months after the death of Dr William Penny Brookes and he unfortunately never saw his dream come true. 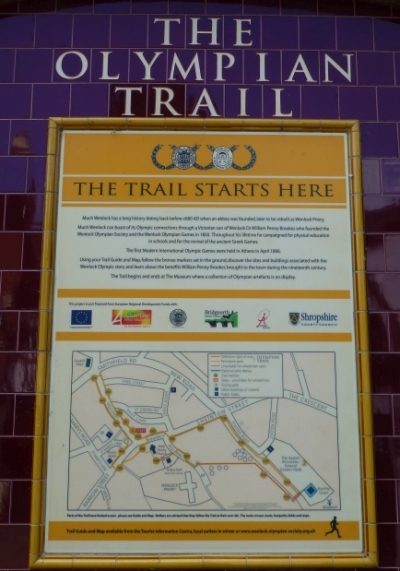 The Olympian Trail around Much Wenlock is a 1.3 mile walk that introduces sites that were important in the development of the Wenlock Olympian Games and Dr. William Penny Brookes dream to revive the traditions of the ancient Greek Olympic Games. The trail starts and finishes outside the free to enter Much Wenlock Museum in the town square. The museum contains many historical artefacts from The Wenlock Olympian Games and tells the story of Much Wenlocks role in the revival of the modern day Olympic Games. 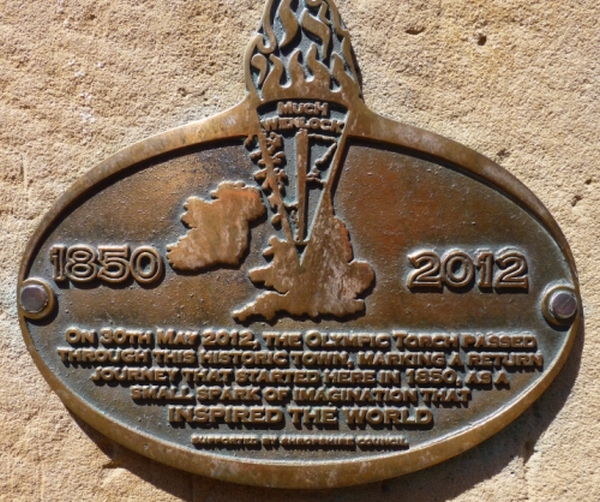 As recognition to the part that Dr Brookes and the people of Much Wenlock played in the revival of the modern day Olympic movement one of the London 2012 Olympic mascots was named Wenlock. And in 2003 the Queen and Prince Philip, the Duke of Edinburgh, also showed their appreciation by requesting a visit the Wenlock Olympian Games during a tour of Shropshire. If you would like more information on the history of the games and a list of events and results then visist the Wenlock Olympian Society website. I just happened to be researching and constructing the Much Wenlock pages a week after watching Great Britain do so well in the 2016 Rio Olympic Games. It reminded me of a friendly town and a lovely day visiting a place with such an interesting connection to the modern day Games. 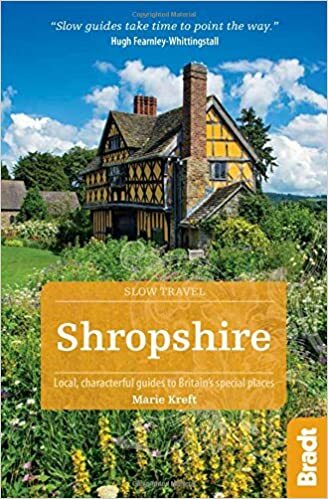 While it's sad that Penny Brookes never saw the results of his passion and hard work, his story, the memories of our visit and the “get inspired” message from the BBC have a definite effect. I feel myself attracted to the 131st Wenlock Olympian Games in 2017. My chosen sport of cycling is not part of the event, but there is a short triathlon. Return to the Much Wenlock page here, or Shropshire page here.